The Wolofs are the majority (43.3% of the population). They are located in the Centre West and in the urban areas. Their political power is growing and their linguistic weight is important, the Wolof being the main vernacular language of the country, spoken by 95% of the population. The Lébous are tied to the Wolofs. The Halpulaarens who are a group that speaks Peulh, represent the second main group (23.8%). The Toucouleurs and Peulhs need to be distinguished. They are mainly located in the Ferlo, the Senegal River valley, in the Badiar and the High Casamance. Breeders and traditionally nomadic, nowadays they are severely affected by rural exodus and sedentary lifestyle (especially the Toucouleurs). The Sérères represent 14.7% of the Senegalese population. Geographically they are located mainly on the Petite-Côte and in the Sine-Saloum delta, along the coastline that is. There are some sub-groups: the Nduts, the Safènes and the Niominkas. The Diolas only represent 3.7% of the population. Those fishermen and rice growers are mainly in the Basse-Casamance. On the same territory where the Diolas live, many minor groups can be found whose lifestyle is similar, such as the Manjaques, the Mancagnes, the Bandials, the Karones and the Balantes. Representing 3% of the population the Mandingues group is part of sub-groups such as the Malinkés, the Soninkés, the Bambaras, the Socés and the Diakhankés. The Tendas group inhabits East Senegal. It includes the Bédiks, the Bassaris, the Badiarankés and the Coniaguis. In Dakar we can find a large African community coming from Ivory Coast, Nigeria and Morocco. In the cities and in the North of the country the Moors are present, particularly in trade. Finally, to be thorough, many Europeans and Lebanese live in urban areas. 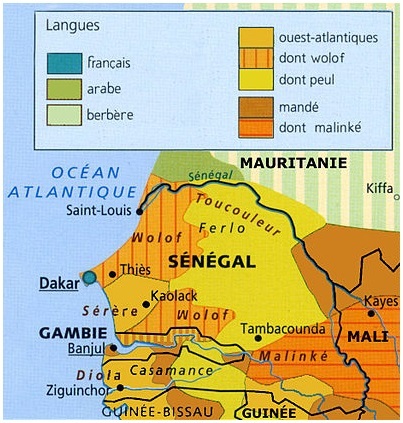 Islam in Senegal comes from the Sufism branch. 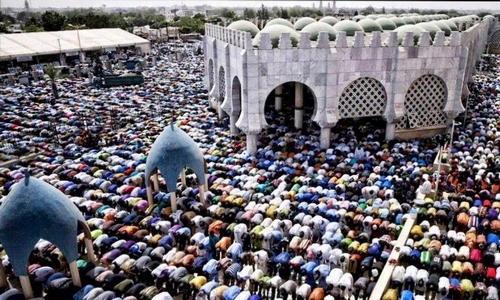 It is the main religion in Senegal, with about 95% of the population adhering. Several brotherhoods can be distinguished: the Mourides brotherhood, the Layènes brotherhood, the Qadiriyya brotherhood, the Tidjanes brotherhood. The two main ones are the Mourides, founded by Cheikh Ahmadou Bamba (whose holy city is Touba and pilgrimage is the “Magal”) and the Tidjanes, founded by el Hadj Malik Sy (whose holy city is Tivaouane and pilgrimage is the “Gamou”). In Senegal the marabout has an important role in the practice of Islam. The practice is transmitted from father to son and consists of a healing power and the assurance of the salvation of the faithful. The marabout also teaches the Coran and conducts ceremonies. He sustains himself thanks to the families’ help, which is transmitted from generations to generations. Christians represent less than 5% of the population of Senegal and are mainly Catholics. This religion was first introduced in Casamance by the Portuguese missionaries and then by French priests. 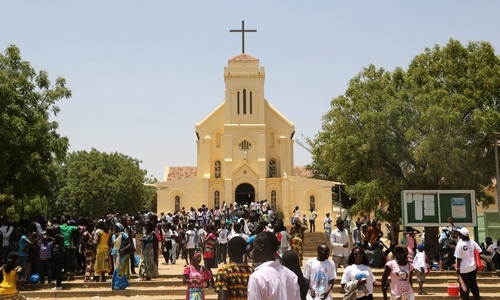 The Catholic community is mainly located in Casamance, in the Sérère region and in the main cities (Dakar and Saint-Louis). Their annual pilgrimage is done in the city of Popenguine. There is also a Protestant Church in Senegal but the amount of practicing followers is limited. Animistic beliefs are persisting. One is generally a Muslim or a Christian but with some animistic beliefs. Some rituals coming from traditional religions are still practiced today. For the Animists, every living thing, plant or object has a soul. Nature includes four fundamental elements like earth, fire, water and air ruled by a superior being and intermediate divinities. The Sacred is not for everyone, the intermediates are the only ones allowed to be the link: the marabouts, the griots and the village elders. 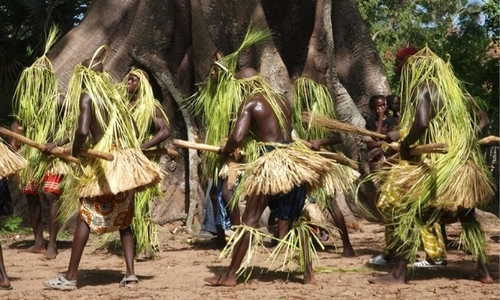 Animism is especially deep in South Senegal, in Basse-Casamance.